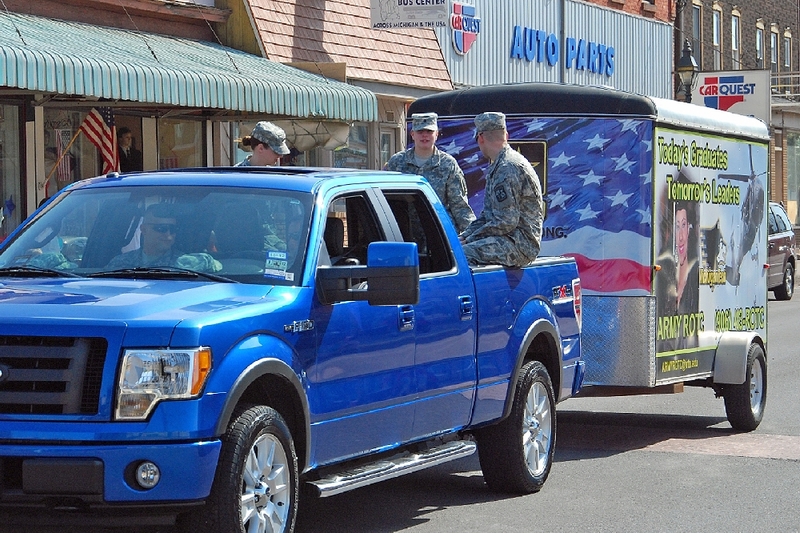 Armed Forces Day, May 19th, brought the 7th and perhaps last Salute To Our Veterans effort, in the Copper Country. 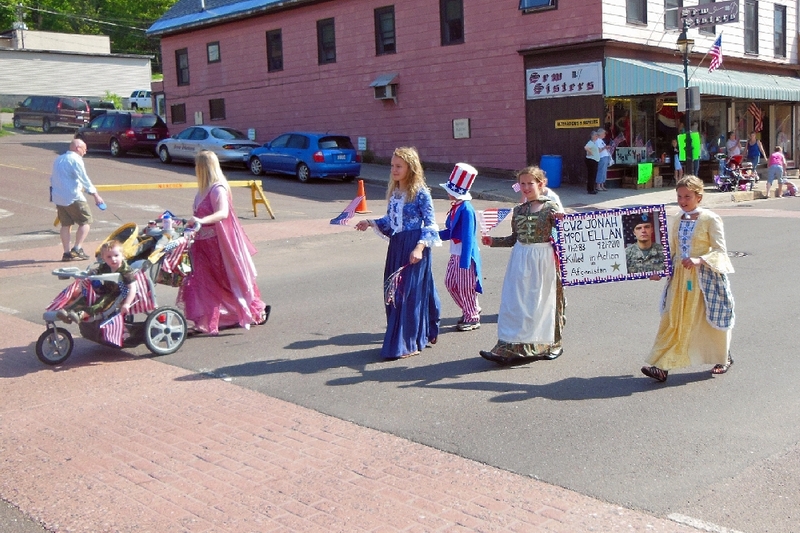 Organized by the Keweenaw Care Corps, under Dennis Korby's leadership, the Salute involved a dinner earlier in the week to fete special Veterans, and a large Parade on Saturday that starts in Houghton and finishes in Hancock. 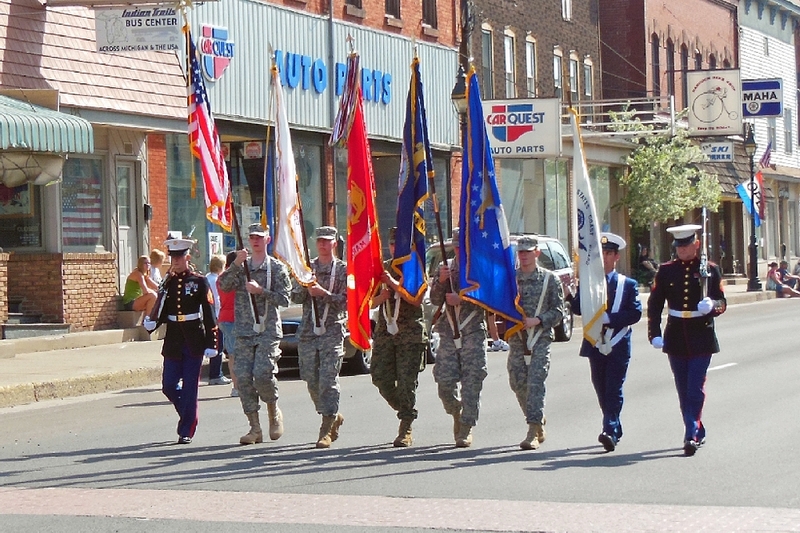 A composite group of Veterans form the main Color Guard. 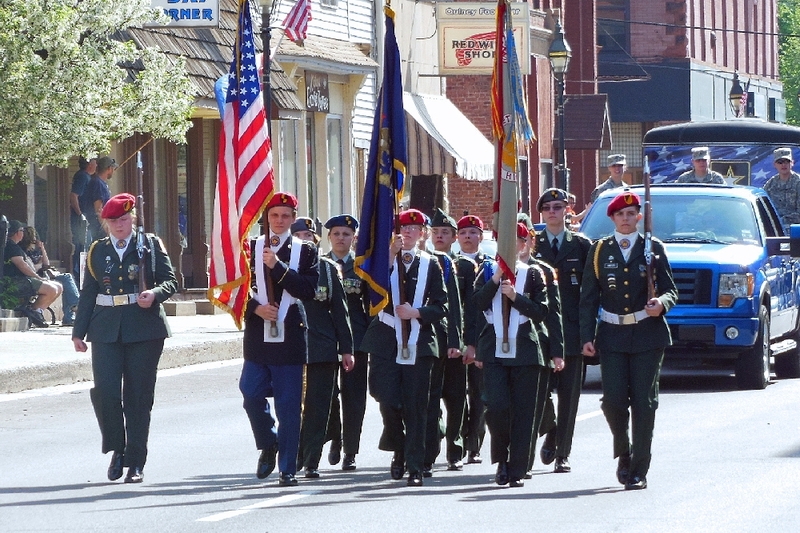 The Hancock High School JROTC also provides a Color Guard. 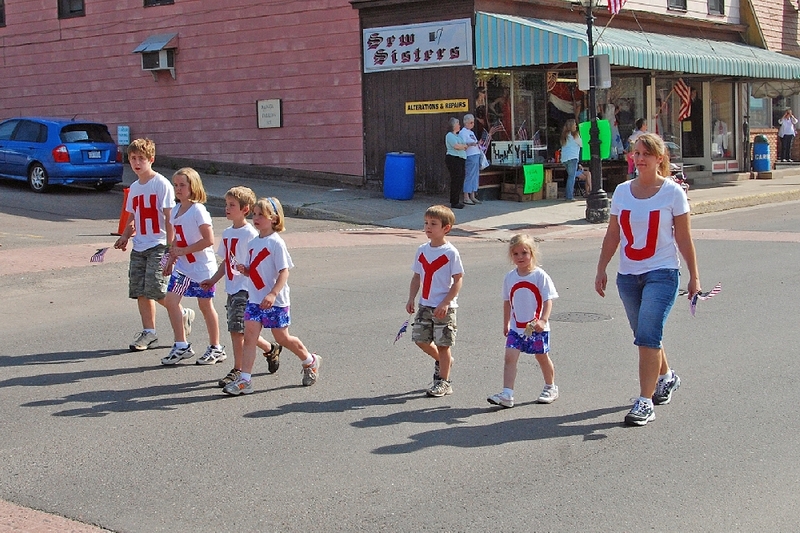 A family salutes a member who Served. 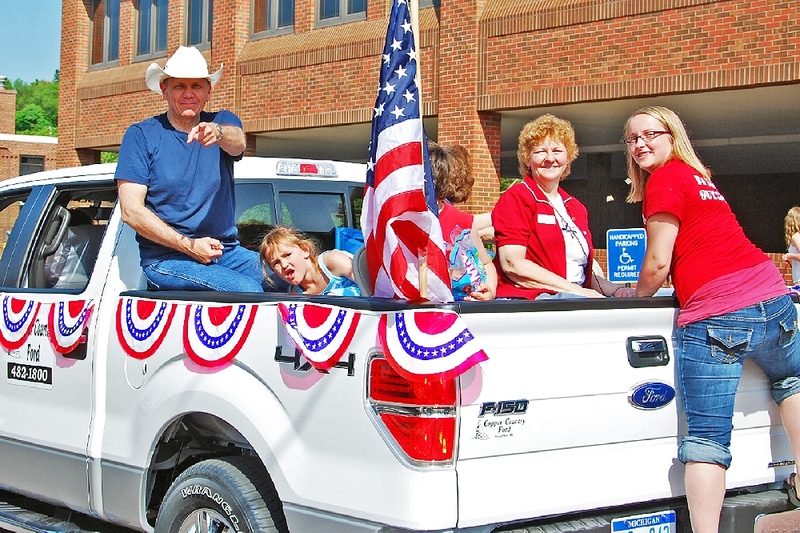 This family says thank you to area Veterans. 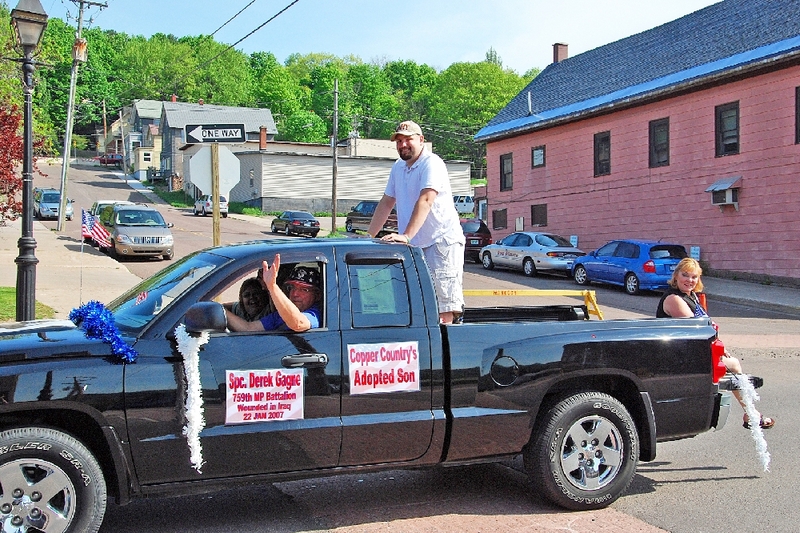 SPC Derek Gagne, who lost his right leg in Iraq in 2007. 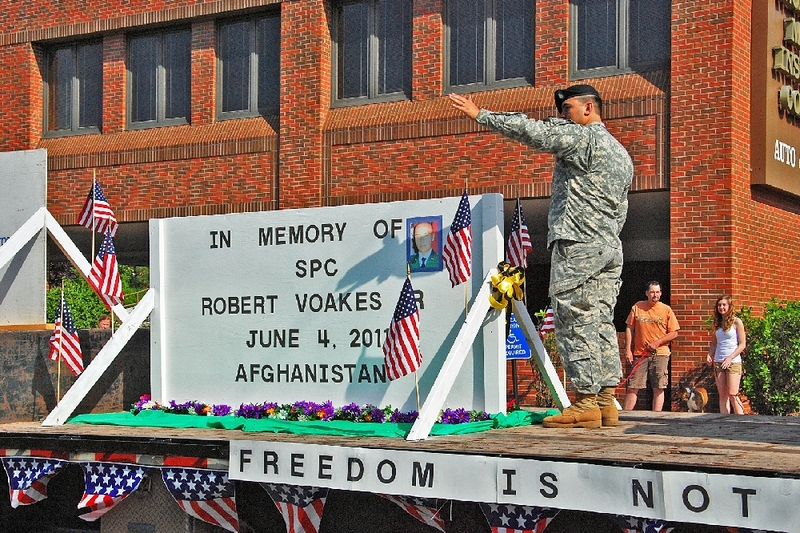 The sign says it all, for SPC Robert Voakes. 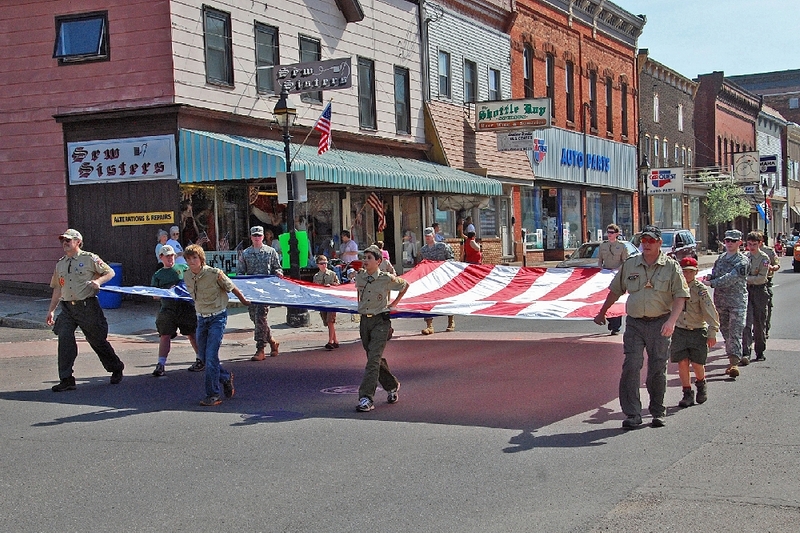 Area Boy Scouts carry this large flag. 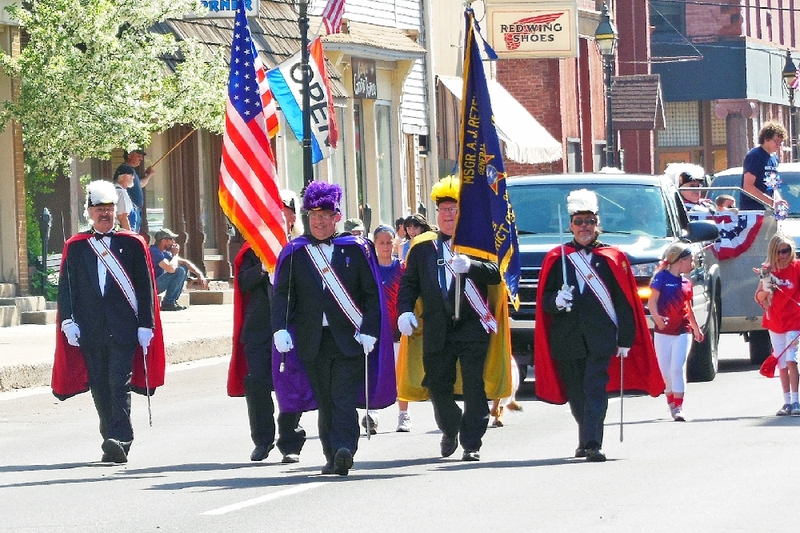 A remembrance for Coast Guardsman Dennis Cleary, a former member of American Legion Post 186, Hancock, who helped start the U.P. 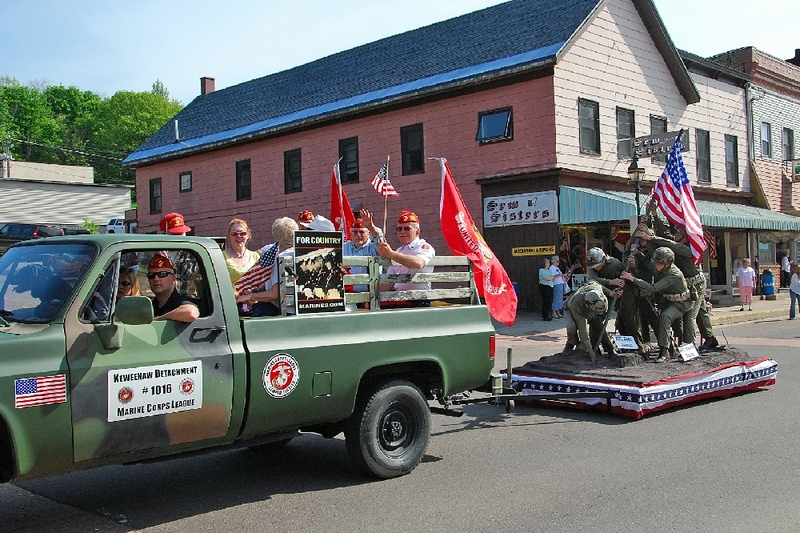 Chapter of the Veterans Motorcycle Team. 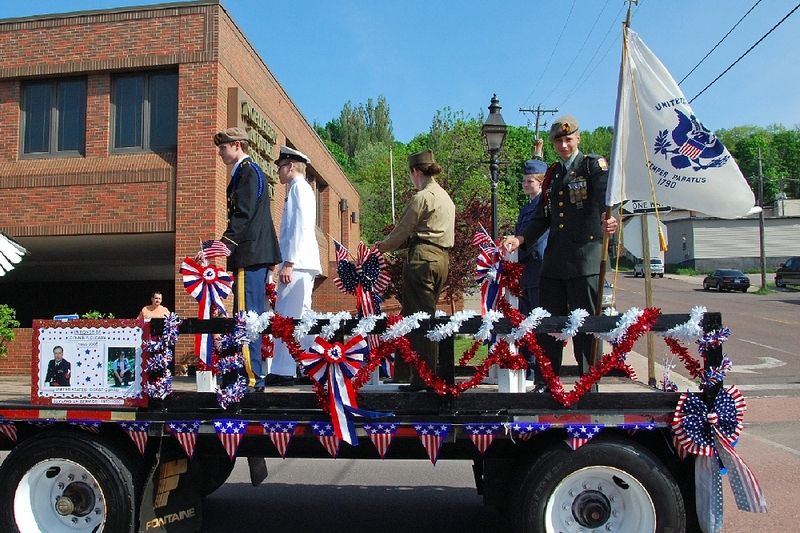 A Memorial float by Finlandia University. 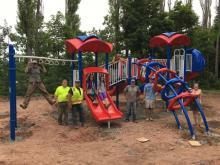 Keweenaw Detachment 1016, Marine Cops League, and their statue depiction of the Iwo Jima flag raising. Another family salute to a member who Served. 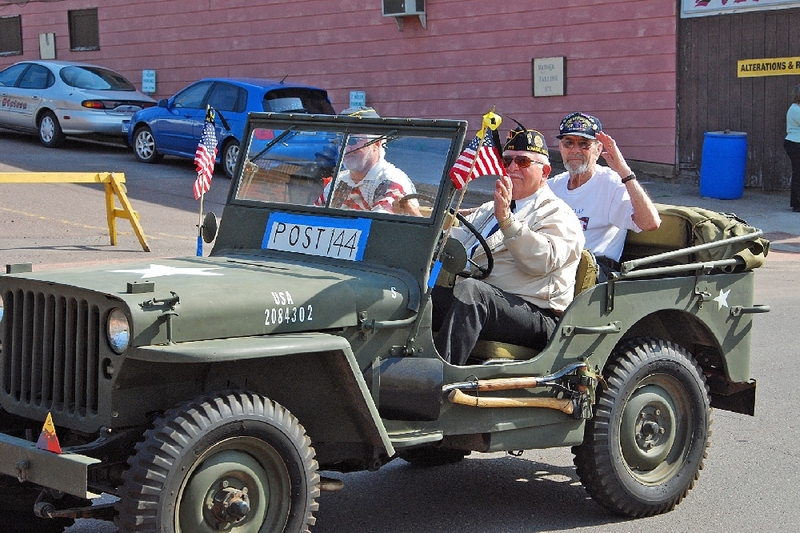 A group saluting those who Served our Country. 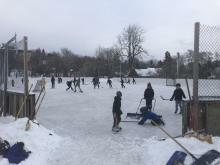 Michigan Tech's Army ROTC. 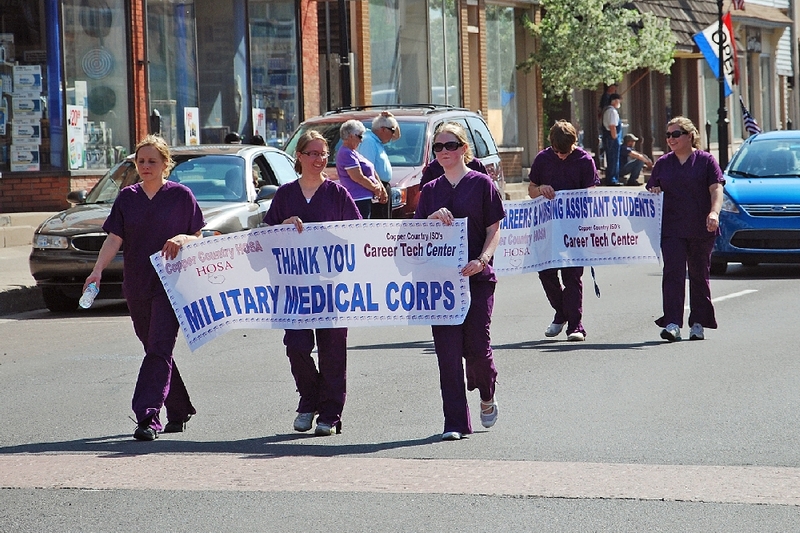 A salute to the Military Medical lCorps. 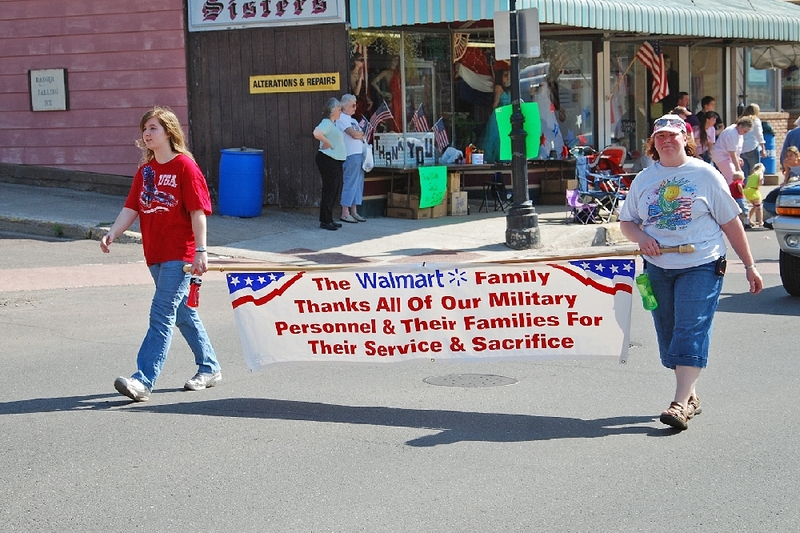 A Walmart salute. 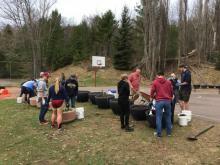 The Copper Country Chapter of the U.P. 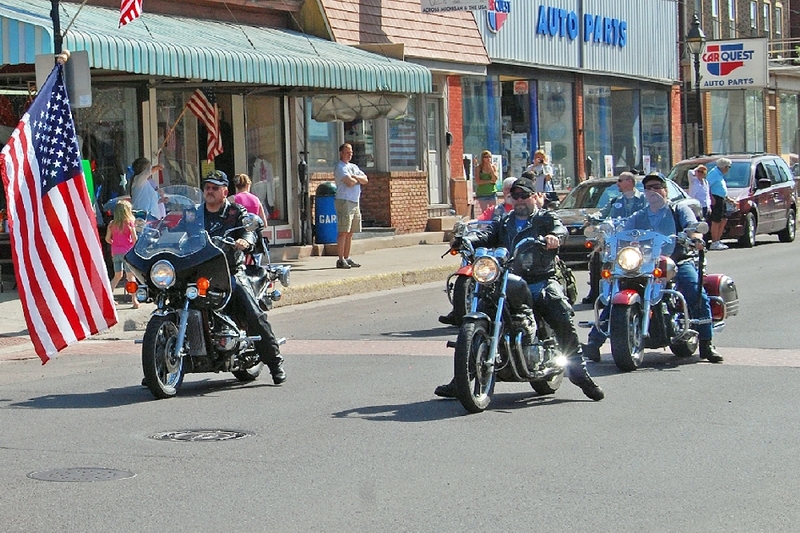 Veterans Motorcycle Team. 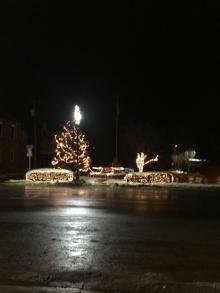 Post 144, American Legion, Baraga. 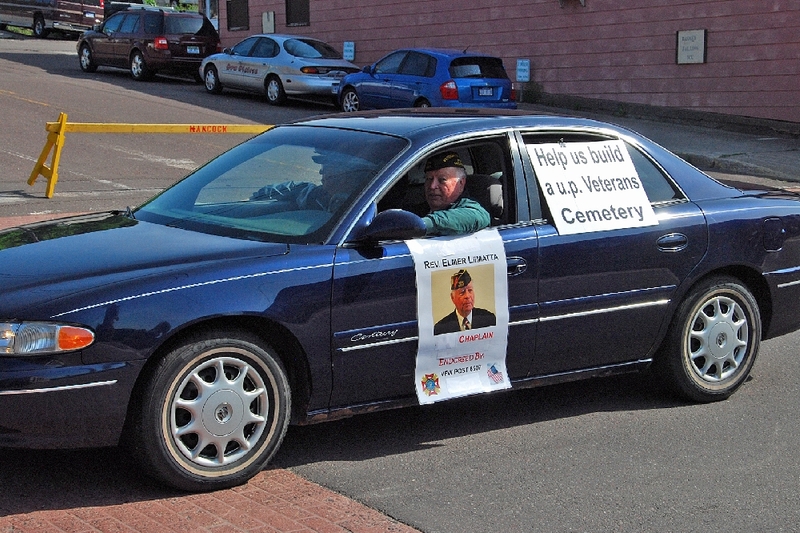 An effort to create a new National Cemetery in the U.P.- Reverend Elmer Lymatta, a local VFW member, is this year's VFW National Chaplain. 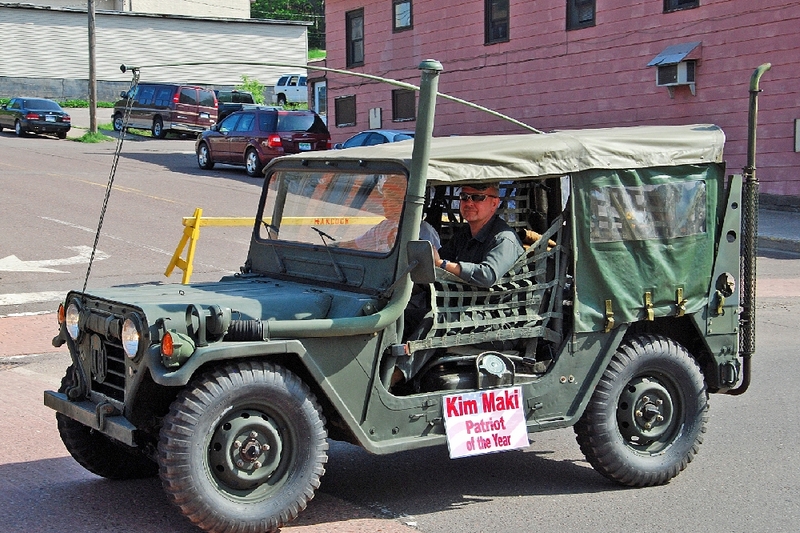 A nicely restored military jeep. 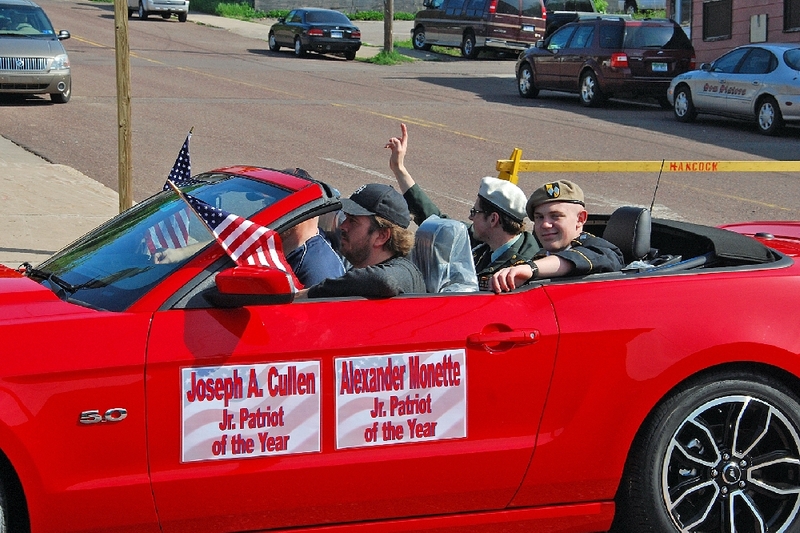 Our Junior Patriots chosen for 2012. 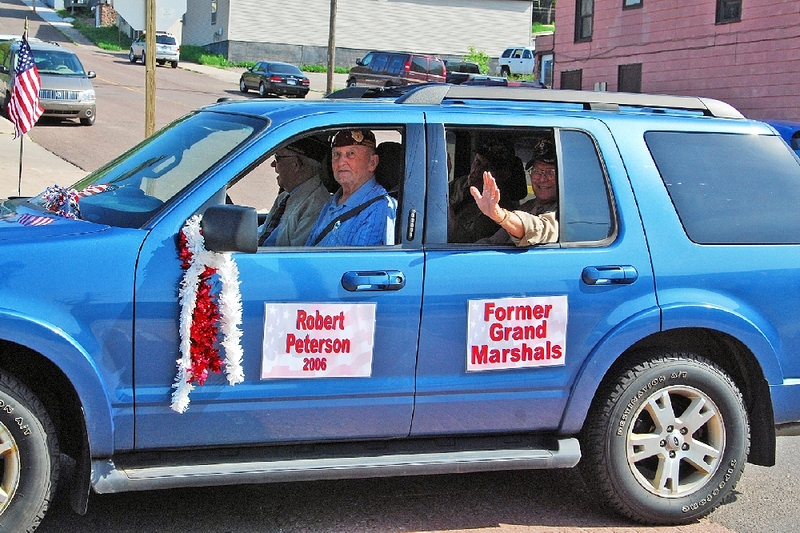 Several past event Grand Marshals. 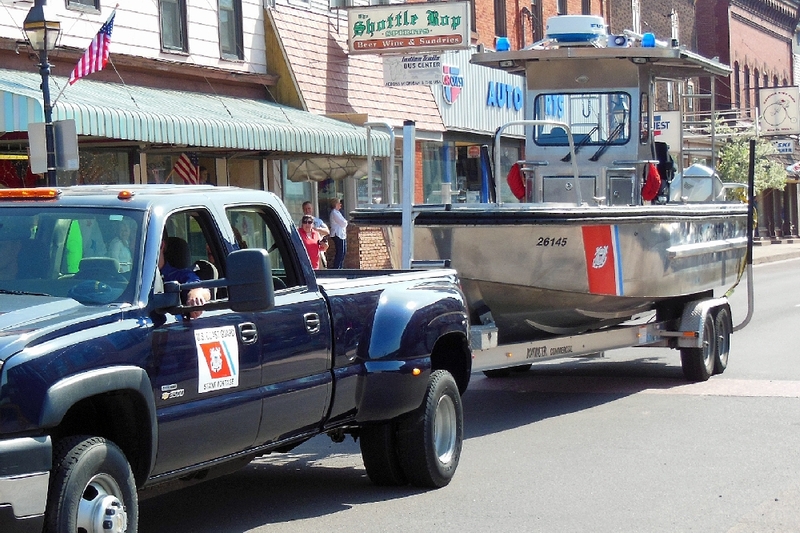 Our Copper Country area Coast Guard Unit, from Dollar Bay. 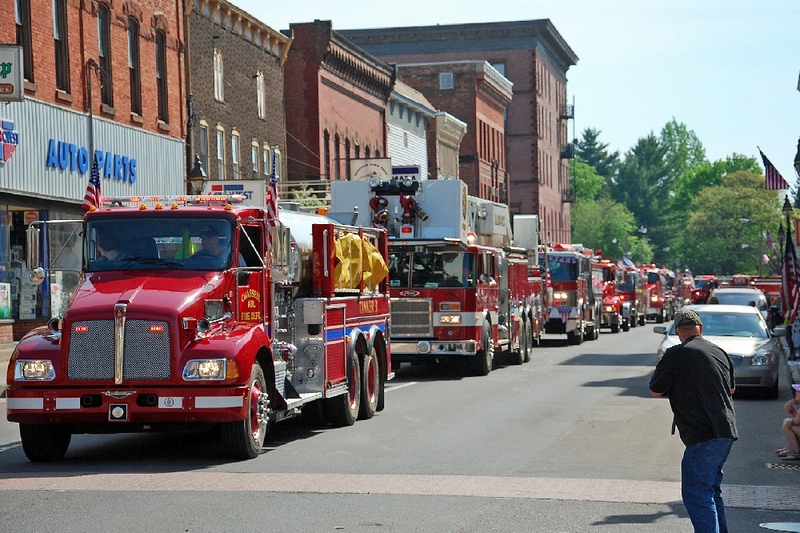 A multitude of fire engines, stretching out of sight and for several blocks beyond. 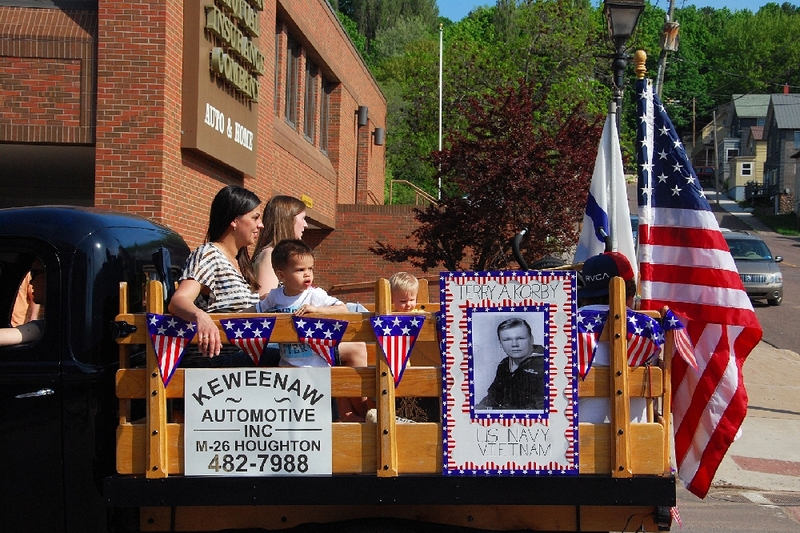 And a salute to Dennis Korby and his family, of Keweenaw Care Corps, who has overseen and organized the Salute to Veterans for the past 7 years. Dennis is now leaving the area, and needs to find a replacement group to continue the event. If you can help, contact him at 369-1951. 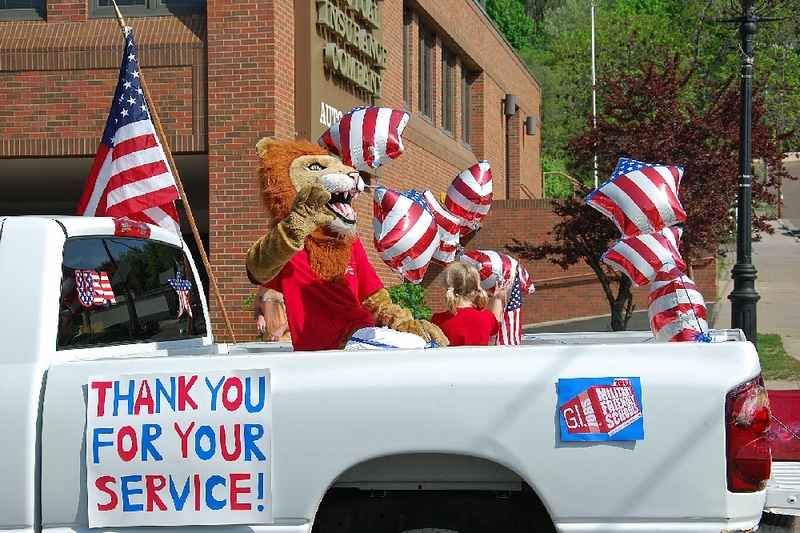 And we add our thanks to all Veterans as well.